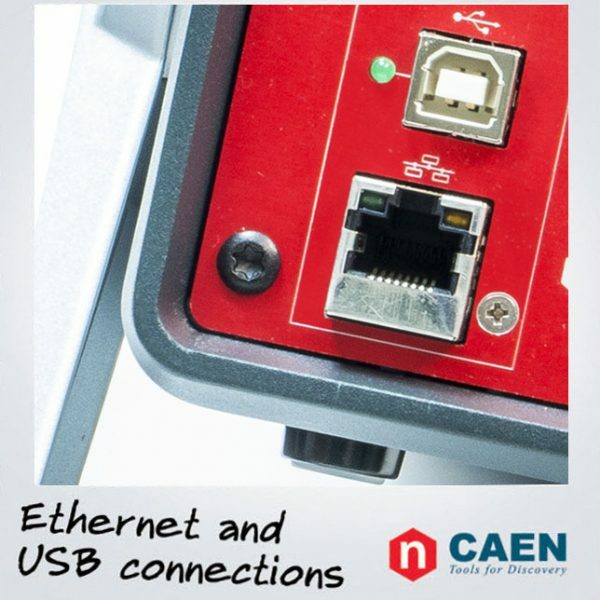 The DT14xxET is a CAEN Power Supply Family providing 4 independent High Voltage channels in a Desktop form factor. Each channel features an independently selectable polarity and common foating return (common return insulated from the chassis ground).  High Voltage outputs are delivered through SHV connectors. 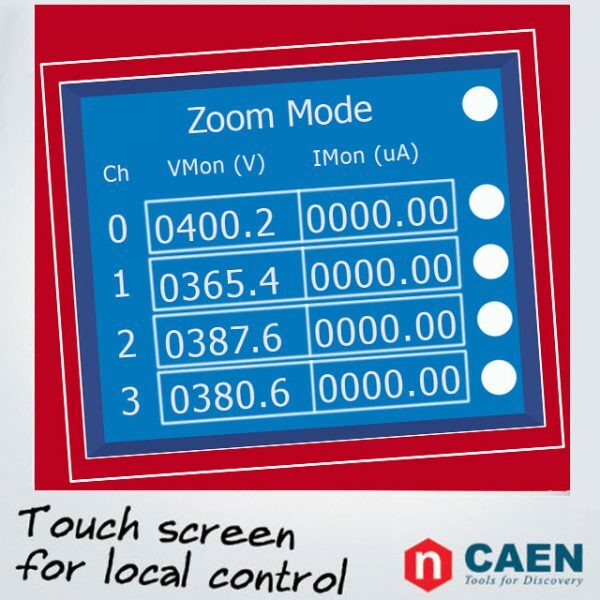 DT14xxET units can be controlled either locally thanks to a 2.8” touchscreen color LCD display with a complete user interface, or remotely, via USB or Ethernet, taking advantage of the new GECO2020 Control Software. EPICS and LabVIEW are supported. 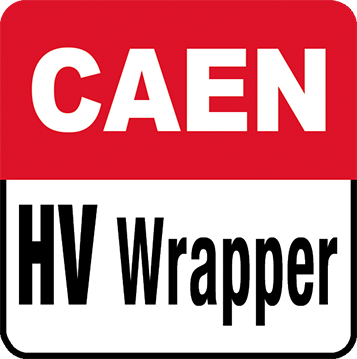 Diferent versions are available spanning from 500 V to 8 kV and from 20 µA to 3 mA, meeting the needs of a wide range of applications. 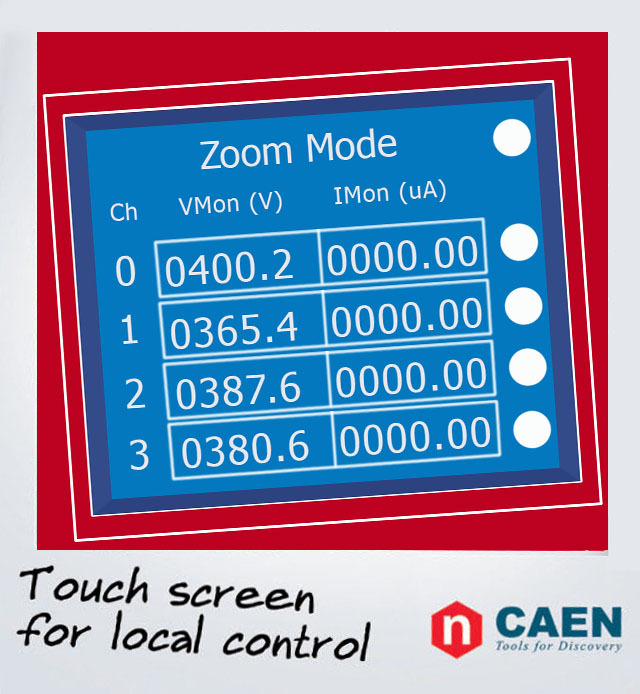 Each unit is provided with Imon Zoom. 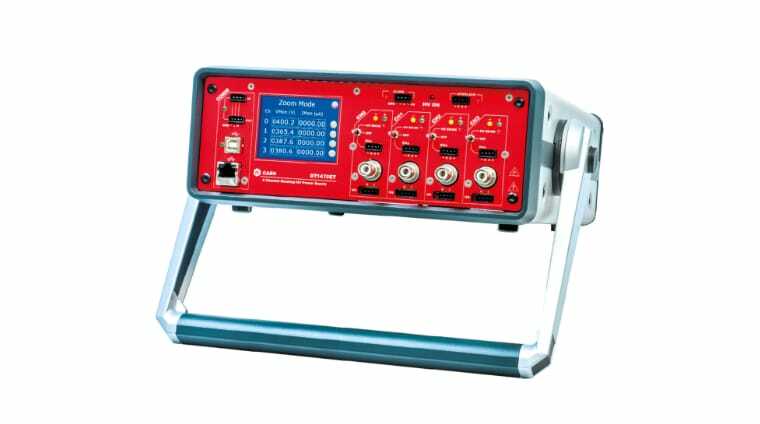 This feature enhances the current monitoring, increasing the resolution of a x10 or x20 factor according to the specifc model. 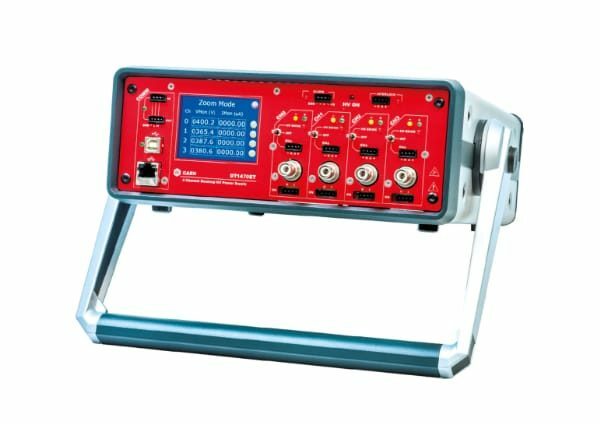 The HV output Ramp-Up and Ramp-Down rates can be set independently for each channel in the range 1 ÷ 500 V/s in 1 V/s steps (1 ÷ 50 V/s for DT1419ET). 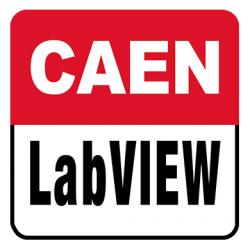 CAEN LabVIEW It is a set of VIs developed to configure and monitor all the parameters of remotely controlled CAEN Power Supply Modules. 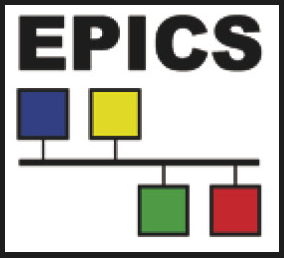 EPICS IOC Mainframes CPUs integrates an EPICS Input / Output Controller (IOC) that provides access to the Process Variables using the Channel Access Protocol. 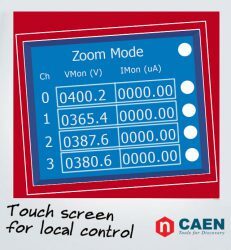 GECO2020 CAEN General Control SW for High Voltage Boards and Systems. 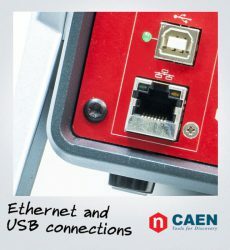 it can manage and control CAEN HV power supplies in any form factor as if they were an unique device.